There’s how many fans waiting outside 221B? And they have pictures of what?! I confess to having done a bit of on-location site lurking in my “youth” (and yes, like those lucky fans in Bristol, I even got to be an extra in a crowd shot at the last moment).But they were for shows and films that didn’t draw a large crowd, could easily handle the lurking, and at no time did any of us do anything exceedingly disruptive like snap a shot during filming. Of course, this was before smartphones and built-in cameras (It was certainly way before the technology existed for Benedict Cumberbatch to use his iPhone to shoot a screen test for Star Trek Into Darkness). So I contemplated a long time on what to do regarding the conflict of interest between wanting to play the “Solving the Mystery of Rat, Wedding, Bow” and not posting any spoilers. I think I’ve come up with a reasonable compromise. But I will limit the potential for exposing others to unwanted information and from encouraging fan paparazzi from converging on location shoots to compete for photo posts. 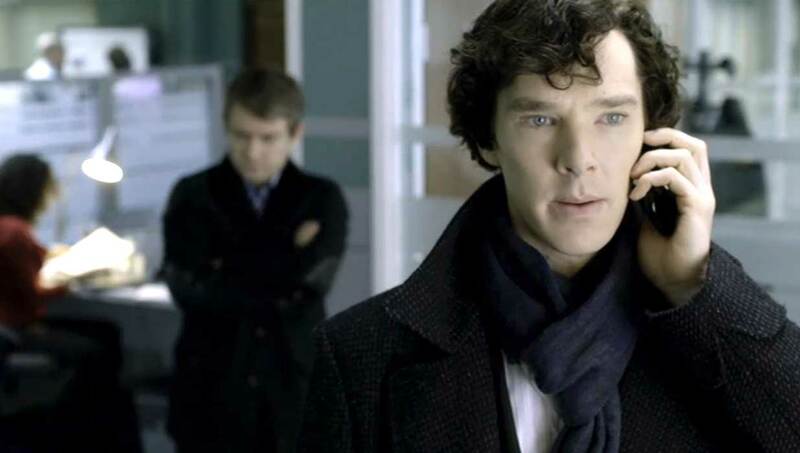 I am going to keep all of the Sherlock Season 3 Spoilers in a single post and only link to online media articles (like the British tabloids for those wanting images and video). I’ll also restrict the on-going speculations of what we will get in Sherlock Season 3 to a single speculations and guesses post. I’ll be updating them periodically as new information arrives, so I’ll be posting the latest update date at the top of the post. I’ll also make them “sticky” which will keep them at the top of the Home Page. I hope this is an acceptable compromise for everyone. Personally, I have no problem seeing sneak peak images and tidbits. (It certainly hasn’t dampened my enthusiasm for seeing Star Trek Into Darkness or The Hobbit 2,) Actually, I’d like to ask Sue Vertue and Team Sherlock to consider making some mini-epsiodes like they did for Dr. Who to work us into a frenzy (yeah, like we need a bigger frenzy then the madness that went on in Gower Street during shooting…). Hey, I can dream, can’t I? This entry was posted in News and tagged bbc sherlock, benedict cumberbatch, Mark Gatiss, martin freeman, Season 3, Steven Moffat, Sue Vertue on April 15, 2013 by JH Watson.